This is a Recipe for preparing at home rich and delicious Wheat Flour Halwa or Sheera. This Halwa known as Gehu ke Aate Ka Halwa in the Hindi language is a very popular sweets item for breakfast, dessert or even as a snack. The preparation method given by me is simple and easy to follow and minimizes time and effort. Heat the Ghee in a Kadhai and add the Wheat Flour, fry it until its color changes in to brown. Remove the Flour from the Kadhai and keep it aside. Boil the Milk and Water in the kadhai and then add the Flour and mix it well and cook for 2-3 minutes on a slow flame. Then add the Sugar, Cardamom Powder, mix it well and cook for 3-4 minutes on a slow flame. 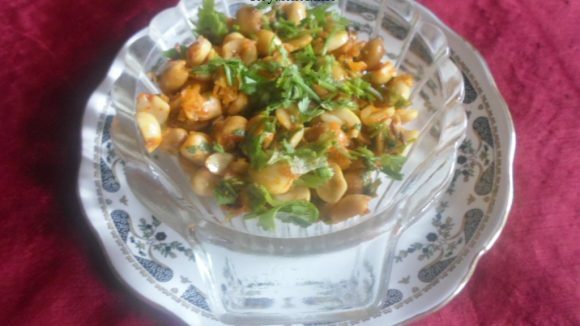 While serving garnish with Dry fruits and serve hot.